There is no better way to make a montage more personal than adding some special text to it. With our Text Collage, that is exactly what you are able to do. We also give you the option to choose two colours for the canvas background. This montage adds that bit of extra personalisation and with prices starting at £17.99, you will be hard pushed to find a better product for cheaper, anywhere on the internet. Create yours today with Canvasdesign. A beautiful collage with added text of your choice. You can have short lines of text on this collage, perfect for a gift. 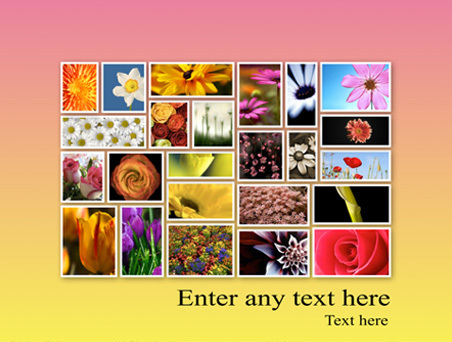 Up to 24 photos available and the background can be changed to any colour you like.